In New Jersey, when it comes to purchasing insurance for your car, you will have options. There are several avenues that you may use to comply with New Jersey car insurance requirements. Read this article to learn more about New Jersey’s insurance rates, programs, discounts and plans. 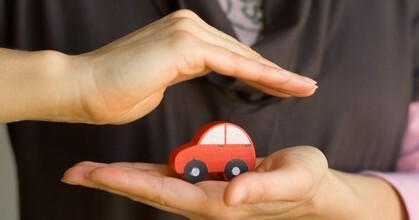 To fulfill New Jersey’s car insurance laws, you must purchase insurance policy for your car. There are several basic and standard insurance policies that you can purchase. Up to $250,000 for very severe injuries such as injuries to the brain. NOTE: Bodily injury liability coverage is not part of basic policy option; however, you are offered the option to purchase BDL coverage of $10,000. Up to $250,000 of PIP for permanent injuries. Standard policy is accompanied by a right to sue if you are injured in an accident. Regardless of which right to sue option you choose, you will not sue for loss of income or medical costs. These two costs are covered by your PIP. You are only eligible to sue for pain and suffering. If you select unlimited right to sue option, you can sue a driver who caused an accident in which you were injured. This option comes with broader rights to sue, making it to have higher premiums. The limited right to sue option comes with cheaper premiums and it is the only option found in basic policy plan. You can make your health insurance the primary source of medical cover if you are involved in an accident. If you are on Medicare or Medicaid, this insurance option is not available to you. If you make your health insurance your primary insurance cover over PIP insurance cover, your health insurance will pay for your medical costs after an accident up to your policy’s limits. Your Personal Injury Protection will pay other costs. Choosing this option will lower your car insurance premium. However, to avoid any further confusion, make sure that your health insurance covers the cost of medical treatment resulting from injuries suffered after an accident. NOTE: Collision and comprehensive coverages are not required by New Jersey car insurance law. However, if you are financing your car through a loan or lease agreement, both collision and comprehensive coverages will be required. New Jersey’s Special Automobile Insurance Policy (SAIP) helps people who can’t afford standard car insurance to obtain a low-cost car insurance policy. If you are enrolled in Federal Medicaid with hospitalization, you will be eligible for insurance through SAIP. Insurance through this plan only covers medical costs after an accident. Car insurance policy through SAIP costs $365 per year payable in two installments or $360 per year if you pay upfront for entire year. You can apply for insurance coverage to SAIP through any New Jersey car insurance companies. For more information, contact Personal Automobile Insurance Plan (PAIP) at (800) 652-2471. The OIFP offers rewards if you report any suspected car insurance fraud. You receive a reward if your tip leads to arrest and criminal conviction. Your tip must be new; not under investigation. If you intend to submit a reward application, you must do so within 30 days of original OIFP notification.